The Project "Honolulu" is a unified system of administration tools requested by many system administrators, users, and other that use Windows and/or Windows Server. It is managed through an Internet browser that allows the administration of local and remote machines including machines in the cloud whether is in Azure, AWS or others cloud services. I created a video demonstrating Microsoft Honolulu and invited it to view. Honolulu is complimentary to System Center and the Operations Management Suite and is not intended to replace these products and services. However the price is totally free. 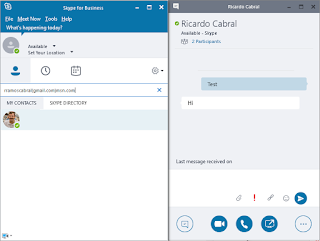 Skype for business is one of Office 365's most widely used products. In addition to including Skype features, it also includes extra functionality as it can record meetings / presentations. 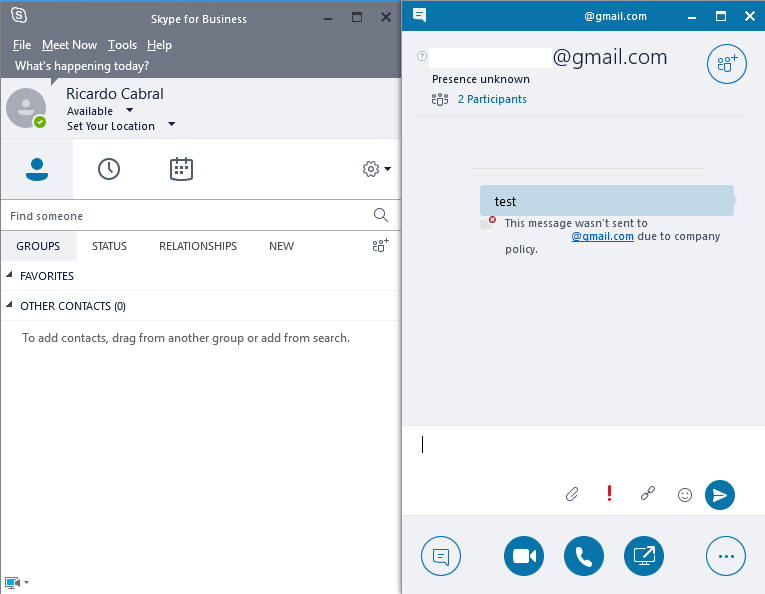 When we want to have a meeting with a colleague, supplier, friend, ... who has an e-mail account in Office 365, digital address and communication is done, even if it does not belong to the organization. 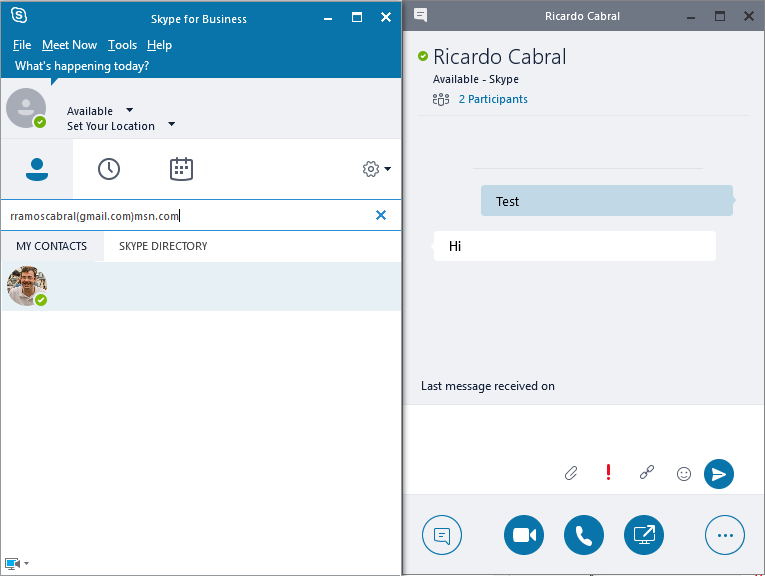 But when the contact does not have Office 365 Skype for business informs that the contact is unknown and message / communication cannot be sent to due to company policy. 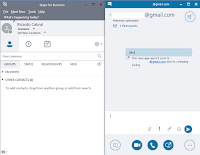 When we want to have a meeting with a colleague, supplier, friend, ... who has an electronic account in Office 365, just digital the address and make the communication, even if it does not belong to the organization. Does this mean that we can only communicate to contacts who only have Office 365? Why two forms of identification? All Microsoft services work through a Federation system, and all contacts must have a valid address that uses the Session Initiation Protocol (SIP). This protocol allows to establish communication through the IP protocol. These are the reasons for using Microsoft services domains. For Microsoft accounts that do not use microsoft domains (hotmail.com, live.com, outlook.com, ...) in their email address, Microsoft internally replaces them for two domain types. 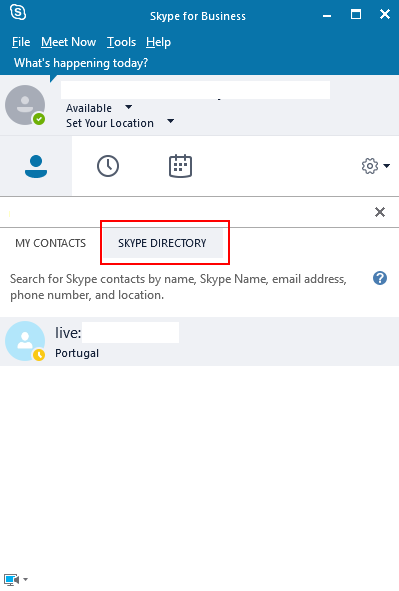 In old accounts uses the domain skypeids.net, currently uses the msn.com domain. 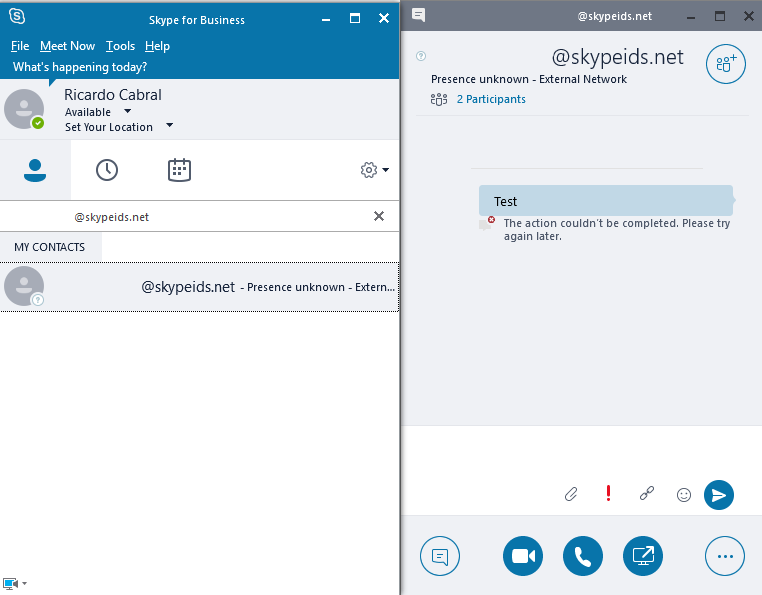 Summarizing all old accounts use the format <username>@skypeids.net all new accounts use <e-mail ID> (e-mail domain)@msn.com. To search with the identification is used: <Identification> @ skypeids.net. If you add this type of contact already will inform that it is offline. But it can only communicate after receiver accepts the request for contact. 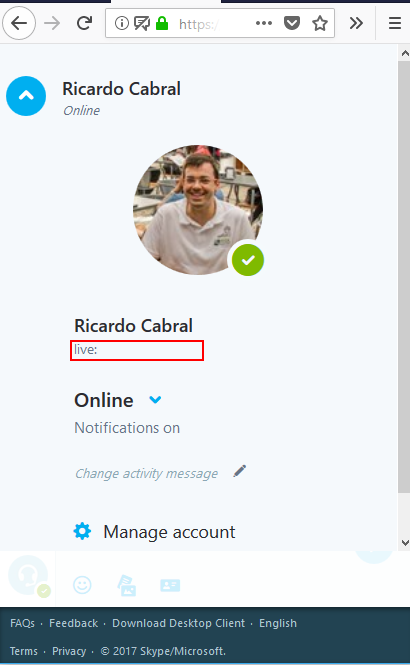 If the recipient does not receive a contact request, then the Microsoft account is not old and does not support the skypeids.net domain. So, it is necessary to search by external e-mail address. The search form is the same but instead of using the full e-mail address you must search as follows. Instead of test@domain.com it will be test(domain.com)@msn.com. Depending on the contact type is an old account then you should use the format <username> @ skypeids.net. If that does not work, then you must use <e-mail> (email domain) @ msn.com. 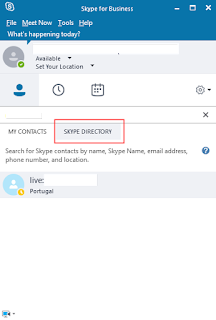 If you use Skype for business 2016 you can already search the Skype directory.